The Past Pupils Union regrets to announce the recent death of past pupil Michael Fagan RIP. Michael served as HonorarySecretary to the PPU for many years. He was noted for keeping meticulous Minutes of meetings which were written in very neat handwriting. 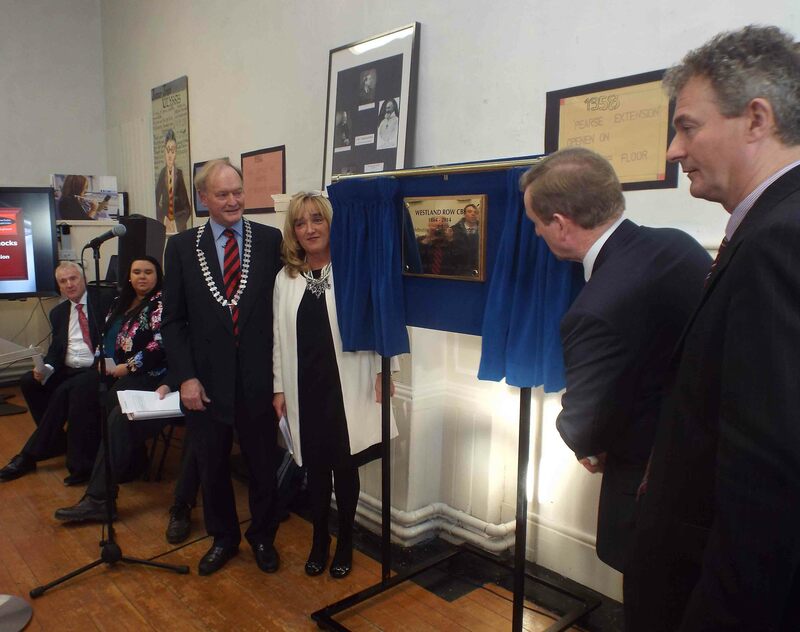 Michael lived in Sandymount and was a member of the Railway Union club like many Row boys. He was an expert Chess player. Michael’s brother, Canon Patsy Fagan, was also a past pupil and served at the 150 celebration Mass with the Archbishop last November. Michael was also present at Mass and lunch that day. Michael will be lying in repose in the Rom Massey funeral home on Thursday and Friday and his funeral Mass will be in Star of the Sea Sandymount on Saturday at 10am on October 31st. The photograph of Michael (on the right below) was taken in 1998 at the announcement of the Row Man of the Year. Ar Dheis De go raibh a anam dilis. The Principal, Kate Byrne, will host an Open Night in the school on Thursday November 26th from 6.30pm to 8pm. Kate has arranged for a heated marquee to be erected in the yard (that should bring back memories!!). Cheese and wine will be on offer and we might get a tune or two if the “Boys in the Band” come together again for the occasion. This event will mark the closing of the 150 Anniversary celebrations and many PPU projects will be on display. You might even get a sneak preview of our publication. The Mass will be celebrated by the Archbishop, Dr. Diarmuid Martin, in St. Andrew’s Westland Row on Sunday November 29th at 11.30am. If you know of any past pupils who died during the year please text me on 087 2557298. 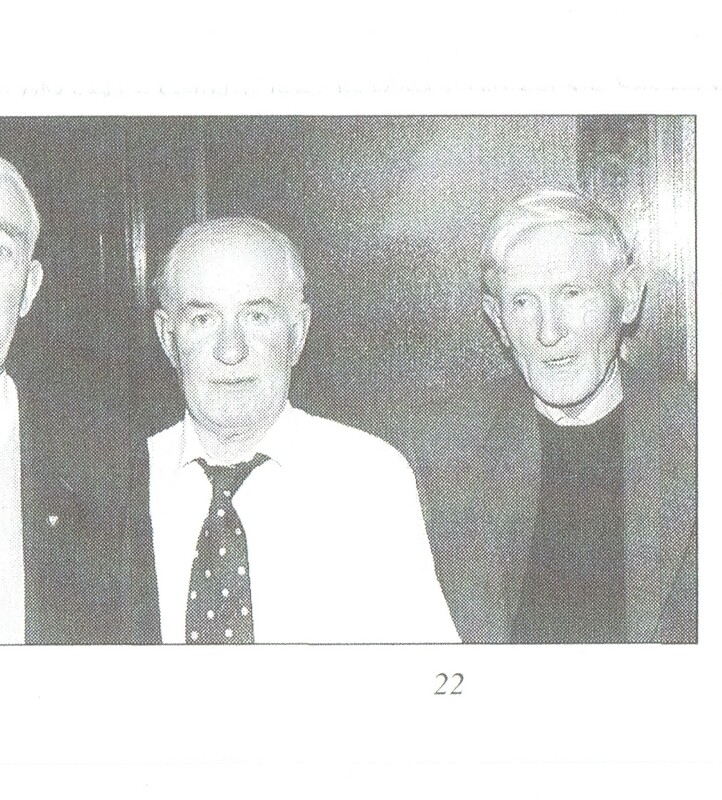 I attended two past pupil funerals during the year for Ray Tracey (RIP) and Paddy Finn (RIP). 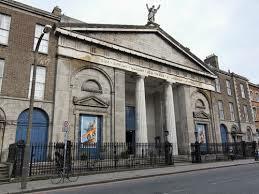 There will be lunch in the Alexander after Mass at a cost of €25. Booking for that is essential before November 20th. please. 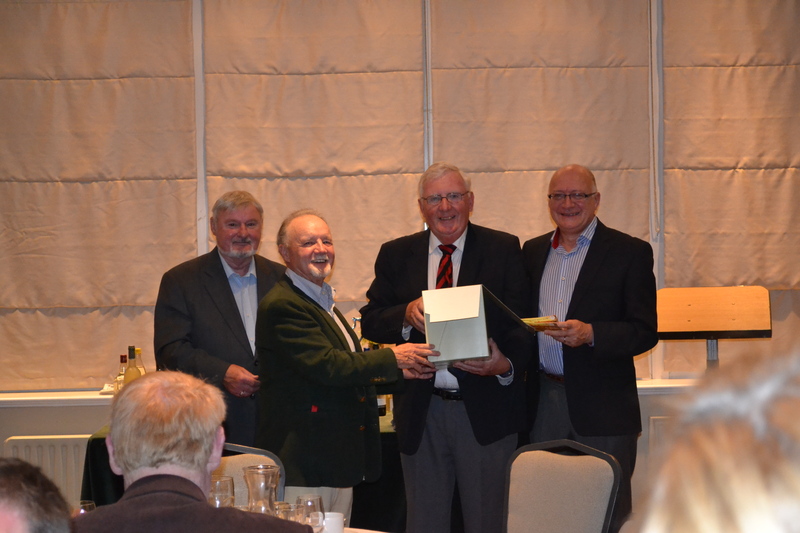 Who will follow Brian Dowling (Row Person 2015)? Nominations for the 2016 recipient are now open and will close on November 30th. Text me on 087 2557298 or email jim.conway7@gmail. Our Dinner will be in the Westbury on January 30th 2016. Tickets will be €60 as last year. Book early and avoid the rush. 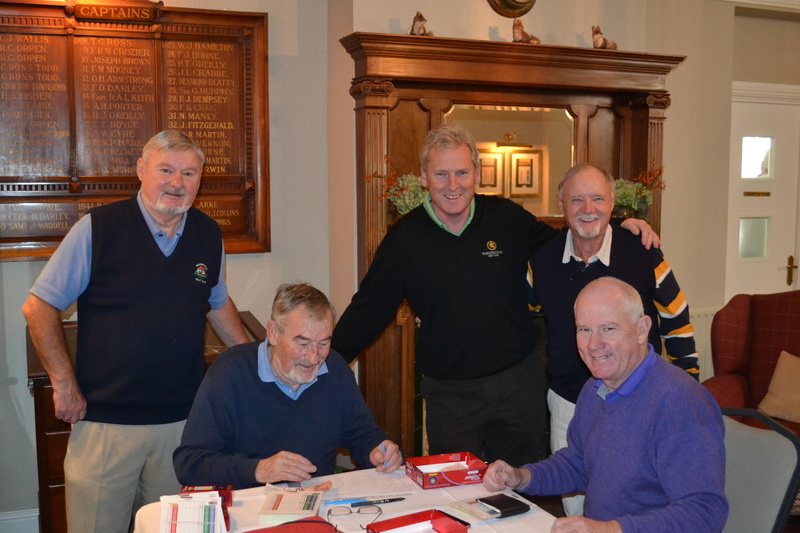 The 2015 Row Golf Society Season came to a conclusion at Foxrock Golf Club on Friday October 9th. 39 members and visitors graced this lovely old course in great weather conditions. 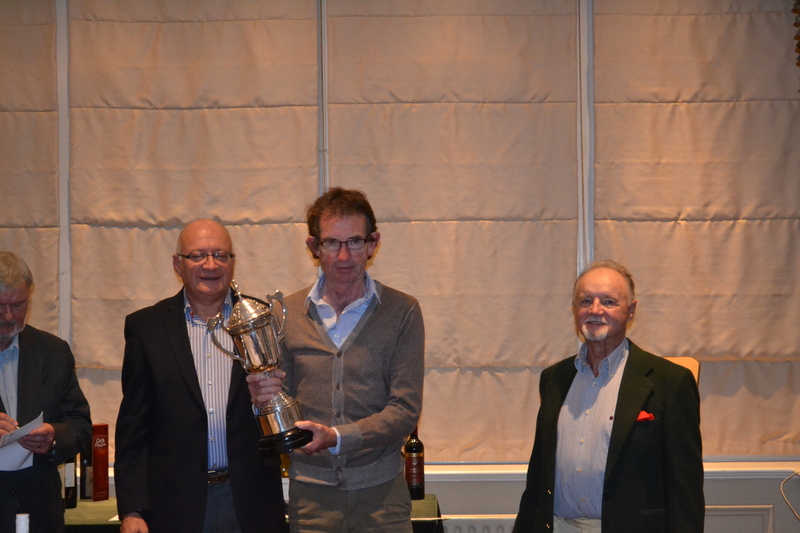 The Pat McGrath Memorial Trophy was won by Alan O’Connor Snr. with a great score of 40 points. He just piped your scribe (Jim Conway) who scored 39 points. 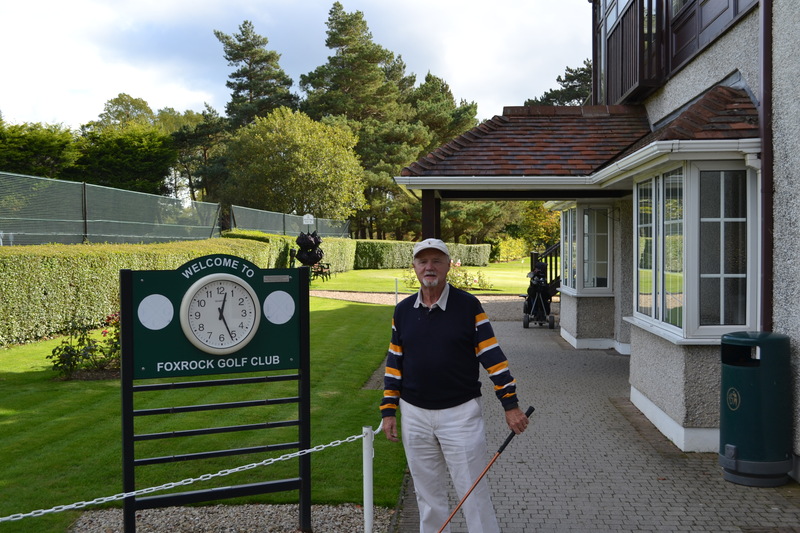 The best score of the day, however, was recorded by Frank Whelan who brought in 41 points but he had to settle for a minor place as he had been “docked” 4 points after he won the President’s (Des Donnelly) prize earlier in the year. 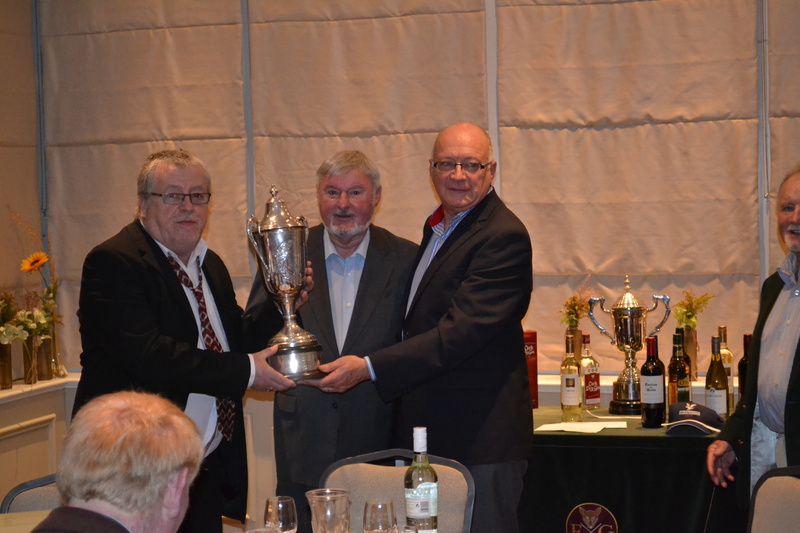 Frank did, however, win the Des Stirrat Cup for Golfer of the Year for the best total over 2 out of 3 rounds during the season. Captain – Alan O’Connor Jnr. 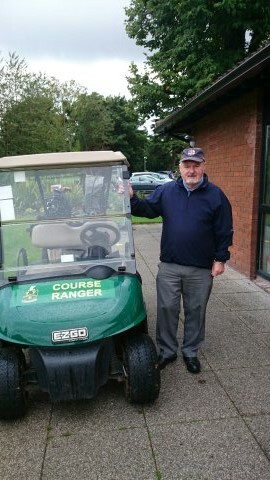 The PPU regrets to announce the death of our former President Paddy Finn RIP. Paddy was a great stalwart of the PPU during difficult times and served as President in 1990 and 1991. Paddy often recalled his school days at the Row and one significant chapter in particular. 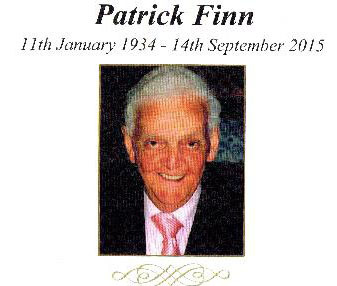 The Finn family lived in Fenian Street and, unfortunately, Paddy’s father died when he was very young. Paddy completed his Inter Cert and got a job helping to deliver coal on a horse-drawn cart during the summer. The carter offered Paddy an on-going job when the holidays came to an end and Paddy decided to accept as the family needed the money. Brother Carew got to hear of Paddy’s decision and called to the house to persuade him to go back to do the Leaving Cert with the promise that his mother would not have to find the money for books or fees. The rest, as the saying goes, is history. Paddy got a good Leaving Cert and went to work in a solicitor’s office. He subsequently moved into the insurance industry where he rose to become Claims Manager in Irish National and American International Group. The Brother Carew mentioned above was famous for his ability to teach Applied Maths and also had a great influence on former Row Man of the Year 2007, Alex Monthwiil RIP. Alex came to Ireland from Latvia during the Second World War and went to school in Belvedere College. He moved to the Row to avail of the teaching skills of Brother Carew as he wished to pursue a career in Physics. Alex subsequently had an outstanding career in Physics. This and other stories of past pupils will be dealt with in more detail as part of our PPU publication to mark the 150th anniversary of the Row.